Carlisle is the largest and most beloved city in Cumbria, and carries with it a rich and fascinating history. In its early days, the site was a Roman settlement used to serve the forts on Hadrian’s Wall. During the Middle Ages, the city became a significant military stronghold due to its proximity to the Kingdom of Scotland. By the time of the Industrial Revolution, Carlisle had become a densely populated mill town, which became even more important with the arrival of the railway station. Today, Carlisle is the main commercial, industrial, educational and cultural hub of Cumbria, but evidence of its past can still be found in its beautiful architecture. Let’s take a look at some of the breath-taking listed buildings in and around Carlisle. There are 24 Grade I listed buildings in Carlisle. These are buildings of exceptional interest, which are often viewed as being internationally important. This section of the city walls has been wonderfully preserved and incorporated into a row of buildings. These buildings originally included warehouses, an 1813 school and a late 19th century mews stables. Since then however, these buildings have been altered and are used for other purposes. The walls themselves date back to the early 12th century. The iconic cathedral started life as a priory, and was elevated to cathedral status way back in 1133. Repairs to a broken tower in 1380 and an extensive restoration project in 1852-56 by Ewan Christian have resulted in many changes to the building, meaning the cathedral blends architectural elements from across centuries, including buttresses, coped gables and a higher stair turret. Carlisle Castle is one of the city’s most well known structures. The Keep dates back to the early 12th century, but was altered in the mid 16th century and again in the 19th century. It has many interesting historical features which reveal its past as a military fortress, including arrow slits, a gun ramp and a battlemented parapet with splayed embrasures. The oldest parts of the walls and tower date back to the 13th century, though later alterations have added even more features to explore and admire, including broad pilasters and a parapet. The tower has three storeys, contained mullioned windows and a pointed archway. There is also a 14th century tracery above the rear of the arch. 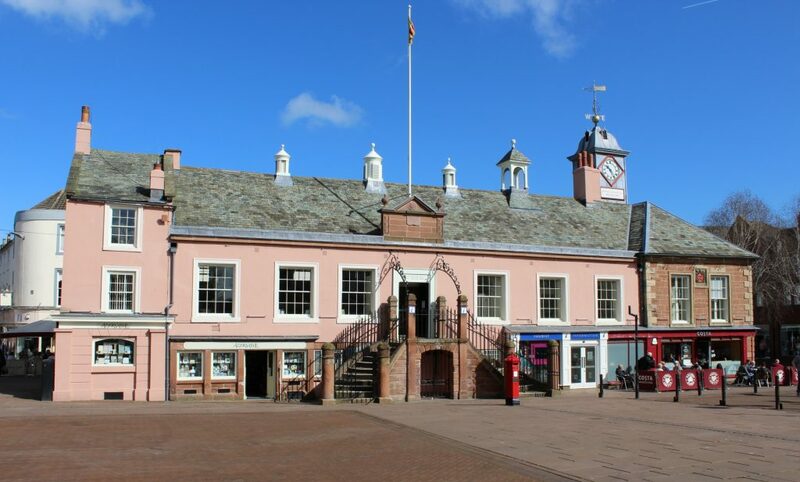 The town hall is a beloved site which is admired by both residents and tourists alike, having been a feature of Carlisle since 1668. In 1717, the town hall was extended to the right, and was given its iconic slate green roof in the 19th century. Features such as serpentine steps, a chamfered plinth and of course the clock tower itself all come together to make the town hall one of the most recognisable buildings in Carlisle. There are 26 Grade II* listed buildings in Carlisle. These are particularly important buildings of more than special interest. This attractive and unique one-storey building originated as the cathedral library. It then became used as a registry, and now lies unoccupied. However, it still retains its historical beauty with features such as ashlar gable chimney stacks, V-jointed quoins and an eaves cornice. It was first listed back on 1st June 1949. This house dates back to the late 18th century, but was extended in the 19th century. Like many of the listed buildings from around this period, Mulcaster House boasts angle pilasters, an eaves cornice, a solid parapet and a green slate roof. 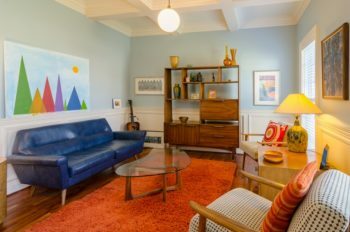 Many of the original internal features have been retained, making for a charming and delightful setting to admire. Dating back to 1778-9, St Cuthbert’s Church is of typical Georgian style, with red sandstone brickwork, a two-storey nave, a low chancel and three-storey tower. Inside the church are galleries on three sides, held up by Tuscan columns. Although the current building dates back to 18th century, the early foundations may actually predate St Cuthbert’s visit to Carlisle in 685. Bow windows, a cornice, a parapet and a gabled porch all come together to make Coledale Hall a standout piece of Cumbrian architecture. This fascinating building was originally a house with a stable range, and later became a house and office. In 1926, it became St Mary’s Home for Friendless Girls, and today it is the Health Authority Office. Crozier Lodge dates back to the late 1820s, and has a uniquely grand feel to it thanks to features such as Venetian windows across all wings, and a central doorway flanked by engaged columns. It was the residence of Thomas McAdam in 1828, and later become the House of Recovery in 1847. Nowadays, it is the doctor’s residence for the hospital. There are 350 buildings in Carlisle which are recorded in the National Heritage List for England, and most of these are listed as Grade II. These are buildings of national importance and special interest. This former vicarage was once part of St Michael’s Church, dating back to 1809. It later became a private house, so still retains much of the original vicarage as well as an extension to the rear, which was added in 1890. The property boasts two storeys and four bays, as well as sash windows. Eaglesfield House dates back to the late 17th century, though it was dramatically altered later on. It was once a private residence before being used as the site for two separate shops with offices above. Its tile roof and rounded headed doorway flanked by columns give it a real historical feel that draws the eye. This wall, dating back to the 12th or 13th century, runs along the edge of the former priory garden and part of the deanery garden. You’ll be able to see the difference between the original sandstone – which makes up the majority of the wall – and the extensive brick repairs, making for a strong contrast. The Caledonian is a favourite for visitors to the city and locals looking for a great place to grab some food, drink and entertainment. The building itself dates back to the early 19th century, and has three storeys and five bays. Nowadays, the Caledonian is known for its reasonable prices and friendly service. Suttle House dates back to the late 18th century, and spent a long stretch of time in a state of dilapidation. Having received its listing due to its stunning architectural features and historical significance, the building is now on its way to becoming the the jewel in the crown at our Suttle Gardens property development, and will be available as a breath-taking home. Many of the building’s original features are set to remain through the renovation process. 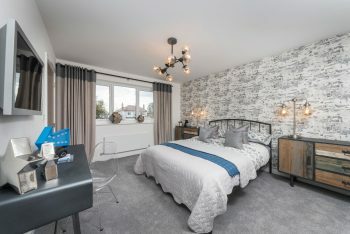 Discover more about Suttle Gardens by paying us a visit, but hurry – there are limited properties still available! 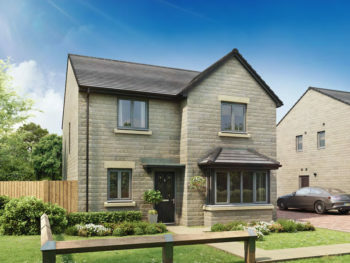 Click here to see more of the homes, or get in touch today by calling 01228 592 582. The Gills find their dream home at Suttle Gardens!